The story: The body of a young girl is found, with the number 1 etched into her fingernail and a sign around her neck that reads ‘I’m travelling alone’. Baffled, the police turn to detective duo Holger Munch and Mia Kruger to stop the killer before any more girls are murdered. As the case progresses, things turn more personal, and with no solid leads, it soon becomes clear that more people will suffer before the perpetrator can be stopped. My thoughts: Holger Munch and Mia Kruger are the archetypal troubled detectives, a version of which you can find in many other books in the genre, and they each come with their own set of personal issues and past mistakes to overcome over the course of the case. Despite being slightly cliched, I thought Mia in particular was a really interesting character. We first meet her as a suicidal drug addict, and when she’s pulled into the case she struggles to cope. She’s clearly gone through a major trauma and is finding it difficult to reconnect to the person she once was. This not only affects her relationships with her team and superiors, it also affects the way that she works and her natural ability to read people and situations. Mia’s personal story and recovery is interwoven with the main case, but in my opinion takes up too much page space. The same goes with the other key characters that we meet. I’d have preferred more of an emphasis on plot and less on backstory, especially as this is clearly intended to be the first in a series, so we have plenty of time to get to know the characters. While the story was a little bit long winded in points and could have done with more focus, there were plenty of twists and turns and it kept me interested. The plot was complex and there are a few big red herrings. This helps to give a rich picture of events and police procedure, although some of the storylines did feel a little far-fetched. 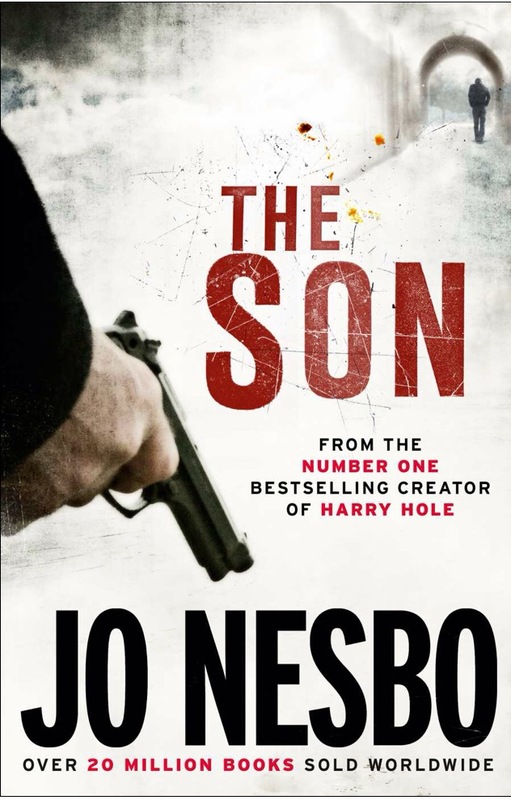 Overall, I think there’s better Scandinavian crime fiction out there (Lars Kelper’s Joona Linna series is great). However, I did enjoy it and will be continuing with the series. 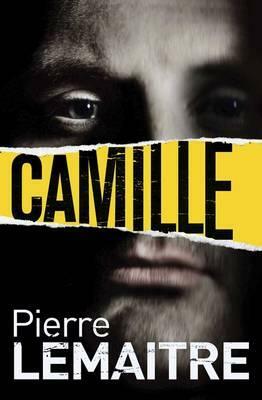 This is the third novel in a series from Pierre Lemaitre focussing on Camille Verhoeven, a detective with the French police, of which I’ve only read one – ‘Alex’. When Camille’s lover, Anne, is caught up in what seems to be a jewellery store robbery gone wrong and left with horrific injuries, he immediately breaks all the rules to take on the case. But what seems to have seen a simple robbery soon takes a more serious turn, as the perpetrator sets out to remove all witnesses who could tie him to the crime – including Ann. Everything begins when Daniel Mercier sits down for dinner on the table next to the French President, Francois Mitterrand. 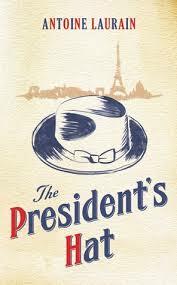 When the president gets up to leave, he leaves behind his hat. Daniel seizes the opportunity and takes the hat with him as he leaves. When he wears the hat, Daniel seems to feel different somehow. He’s more emboldened, more confident, more direct and ultimately more successful. It’s as though putting the hat on his head has allowed him to come out of his shell and become the person he should always have been. Astonished by his good luck, Daniel clings to the hat as a symbol of everything he’s achieved. That is, until he leaves the hat on the train and it’s picked up by a new wearer, who might just need a little inspiration of her own. From here, the hat continues to change hands while Daniel continues his hunt to get it back again. Wearing the hat seems to give each character the motivation they need to make changes in their lives. As readers, we’re left to wonder whether this newfound confidence really comes from the hat, or if the hat is just a catalyst that unlocks what was there all along. 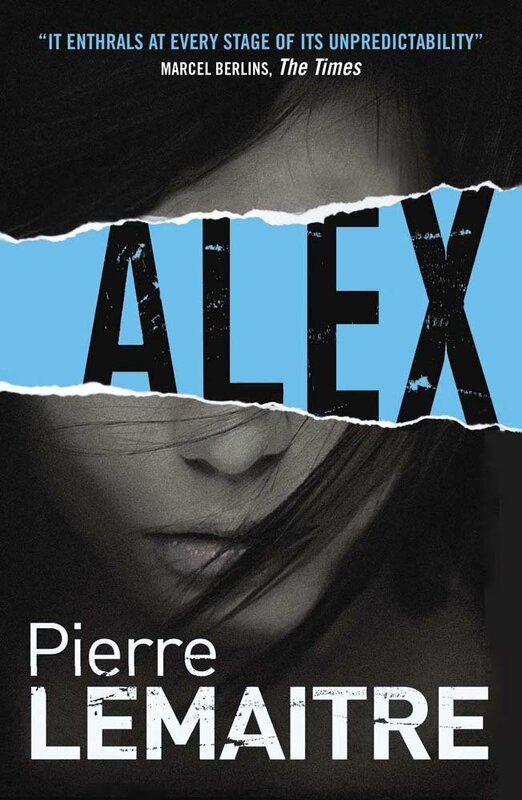 It’s very difficult to explain the plot of ‘Pierre Lemaitre’s Alex’ without giving away too much. We open with the kidnapping and torture of a girl. The attempts of the police to track down this girl, with no evidence to show that a kidnapping has even taken place, help to start unravelling a web of lies, violence and deceit. The book is split into three separate sections, each of which turns the story on its head and takes t in a completely new direction. It’s like solving a mystery within a mystery – each section throws up a new conundrum and completely changes our views on what has come before. When Sonny was a teenager, his father took his own life. His suicide note revealed that he was a mole in the Oslo police force, passing information to the mysterious and shadowy figure of the Twin, a dangerous criminal with a network of resources at his disposal. This shattering revelation set his family on a path of destruction and ruin. Now a heroin addict, Sonny has been in prison for 12 years. Since his incarceration, he’s gained an almost mythical status amongst his fellow inmates as a receiver of confessions and a cleanser of souls. But when one of these confessions strikes particularly close to home, it throws everything that Sonny has ever believed about his father’s death into question. Homicide Inspector Simon Kefas was once Sonny’s father best friend. On the surface, his current cases are random acts of violence, driven by petty theft or drugs. But as Simon investigates, he begins to suspect that the perpetrator is driven by a much more powerful motive. And he isn’t finished. When the crimes of the present become caught up with the ghosts of the past, Simon may be the only one that can help Sonny to uncover the truth he needs. 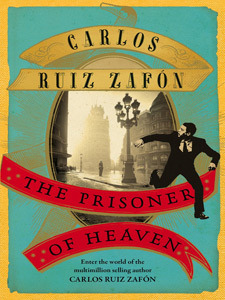 The third installment in a planned quartet of novels from Carlos Ruiz Zafon, The Prisoner of Heaven has been on my wishlist for a while now (see here for a full round-up). It’s predecessors, The Shadow of the Wind and The Angels Game were both gripping reads, so my expectations when it came to this book were understandably high. That said, it’s not necessary to have read the books in order, so if you haven’t read the others, it doesn’t take anything away from this one. The Prisoner of Heaven tells the story of Fermin Romero de Torres – mentioned in previous novels but coming to a forefront here. Imprisoned in horrifying conditions by the regime during the Spanish Civil War, Fermin crosses paths with some of the most detestable and terrifying figures of the Spanish authority. Condemned to a prison where so called ‘enemies of the state’ are sent to die, his fellow cell mates and gaolers are varying degrees of crazy and intensely dangerous. To survive, Fermin must put his trust in a man whose sanity is increasingly called into question, a brilliant but eccentric writer named David Martin. The words that pass between them and the pact they make within the prison walls will continue to reverberate for years to come. When a man from his past arrives on his doorstep, Fermin is forced to confront his worst memories and to relive a previous life. And as his story comes to light, it becomes clear that the past never truly stays in the past. As with all of Zafon’s previous works, The Prisoner of Heaven is beautifully written and creates a brilliantly dark and realistic vision of post-war Spain. But ultimately what he does so well is to capture the magic and the mystery of the unknown. The skill with which he writes invites the reader to make their own connections, to see the scene as it continues to play out on the pages and to draw their own conclusions. For me, The Prisoner of Heaven lacked some of the magic of Zafon’s previous novels. While it started off very much in the dark gothic vein that we’ve come to know him for, it soon diverged into a more straightforward, but no less sinister, plot. Still, there’s no denying that Zafon is a master storyteller, weaving together narratives to create a story with just the right amount of tension, pace and humour. 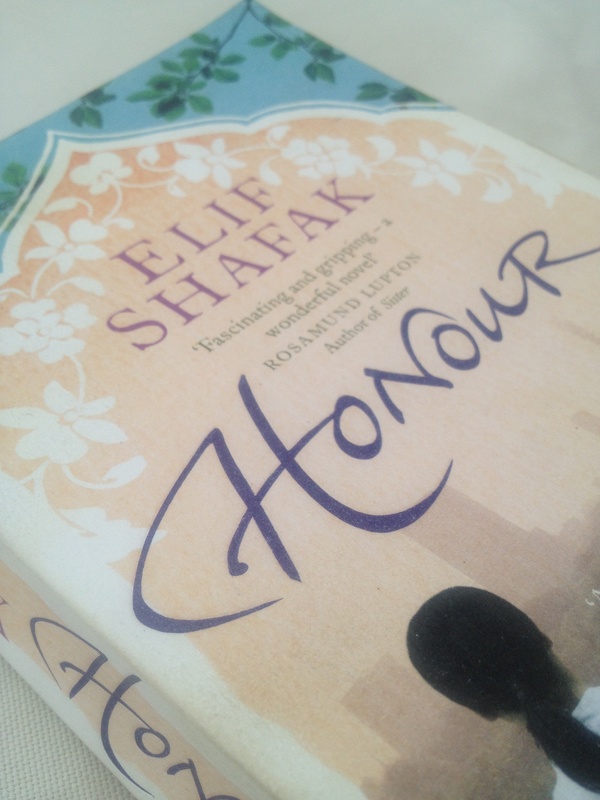 Elif Shafak’s Honour hinges around one horrible crime. The nature of this crime itself is revealed within the first few pages, and the rest of the book is spent examining the lives of the people affected and the events that led up to and contributed to the event. It’s a story that spans four generations, split between the remote villages of Turkey and the metropolis of 1970’s London. When Pembe and Adem leave their home country to build a new life in Britain, their children must find a way to mesh new traditions with the old, to speak two languages and to adapt the cultural norms of their heritage to new situations. In Honour, Elif Shafak examines how gender, history and expectations combine to have a powerful impact on our behaviour and our future actions. It’s also fair to say that this book is an exploration of immigrant culture. It looks in detail at the relationships between parents and their children and how a rich cultural history is blended with new experiences. I actually read this book while I was in Turkey, and the sections set in the villages really came to life for me. However, it felt as though it was lacking in the crucial emotional connection to the central characters. The narrative style, which tends to jump around between different times and different viewpoints, also made the novel quite hard to follow. It also meant that certain events were revealed out of sequence, taking away some of the tension from the main plotline. Honour does a great job of setting out facts and events and of creating a very real and powerful backdrop, but at no point does the author really use her position to give an opinion on the twin cultures that she’s describing. It’s up to us as readers to make the observations for ourselves. In doing so, I think the author misses out on an opportunity to get across what has the potential to be a very powerful statement.